Chelsea target Lazio midfielder Sergej Milinkovic-Savic? Lazio midfielder Sergej Milinkovic-Savic is reportedly the subject of interest from Chelsea new head coach Maurizio Sarri, according to Corriere dello Sport. Over the weekend, the Premier League giants confirmed that Maurizio Sarri had agreed to become the Blues’s new manager, and that was quickly followed by the arrival of Jorginho from the Italian outfit Napoli. 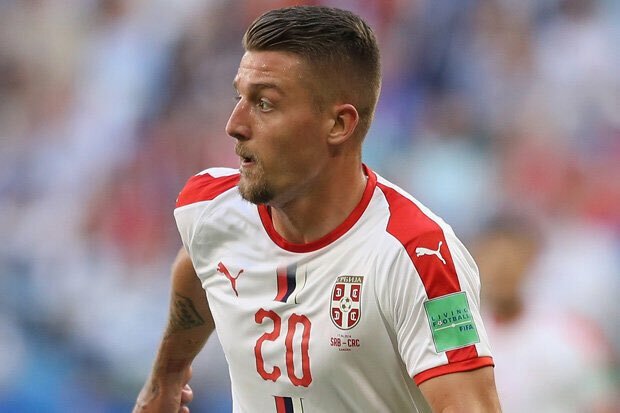 The west London outfit are still looking to bolster their midfield options and could make an approach for Milinkovic-Savic ahead of new season. Real Madrid are also believed to be interested in signing the Serbia international, who has previously attracted interest from the Red Devils. However, an overhaul is likely to happen at Stamford Bridge and Chelsea may be willing to add the 23-year-old midfielder to their list of central attackers ahead of the new campaign.